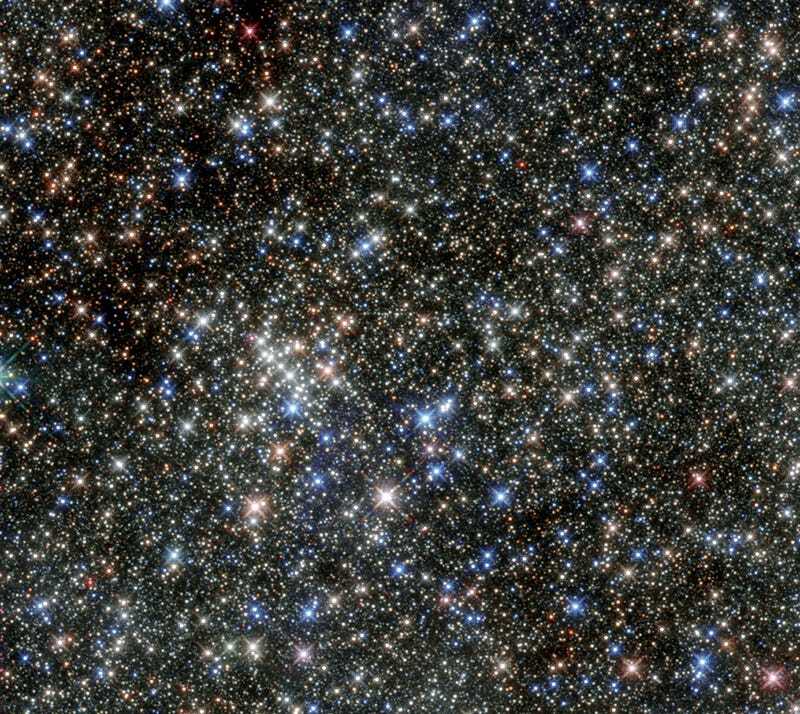 This latest image from the Hubble Space Telescope is utterly stunning: it’s of the Quintuplet Cluster, named for its five brightest stars. Up until 1990, we had no idea that this existed: because it’s so close to the center of the galaxy, dust has blocked our view of it. This image was taken by observing region of space with infrared observations, which has allowed us to take a look at the region’s stars. There’s extremely bright ones present: The Pistol Star is a blue hypergiant and one of the most luminous in our galaxy. It’s not expected to last long: it will burn through its fuel in just a couple of million years. The cluster is also home to a number of red supergiants, which indicate that the stars in this region of space are very, very short lived.